When we heard that celebrity yoga trainers Krissy Jones and Chloe Kernaghan were opening a new studio, we were prepared to claw our way to the front of the line (in a very peaceful yogi way, of course). Luckily, getting in a class at Sky Ting Yoga was much more Zen than that, and totally delivered on our high expectations. The brand new studio offers yoga and meditation classes crafted from a variety of yoga influences that are suited for all levels. Speaking of the studio: it is absolutely gorgeous, bright and airy, and makes it easy to let go of the madness below from its fourth story perch. 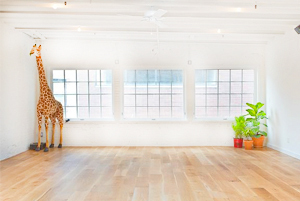 Oh, and there's a resident upward giraffe watching over your downward dog - what's not to love? Why We Love It: This posh studio is community-centric, and encourages yogis to come in and stay awhile. Enjoy art, fashion, food, and friends after a marvelous sweat, stretch and strengthen sesh. Why It's So Effective: Sky Ting Yoga draws from different yoga styles – including Katonah, Taoist, Hatha and Vinyasa – to create hybrid classes that incorporate both physical and emotional benefits from each discipline. 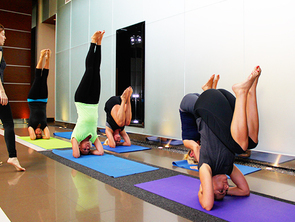 Know Before You Go: No need to bring your own yoga mat; Manduka mats are provided at the studio. New to yoga? Try out their FUNDAMENTALS class held on Saturdays. Don't Miss: Sky Ting Yoga offers a menu of to-go meals and snacks designed by healthy hotspot neighbor Dimes – a micro-eatery for the hip and in-the-know. 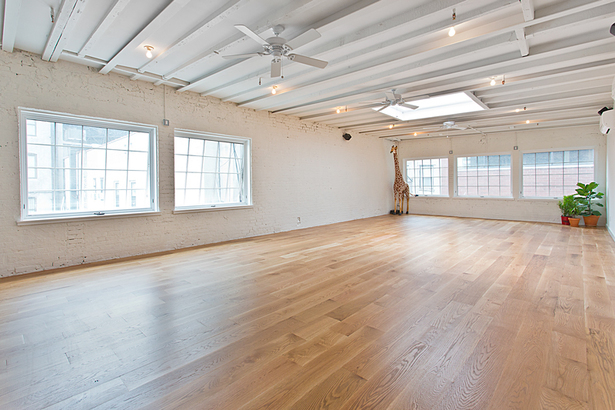 Added Bonus: This studio offers more for the soul than just a great Shavasana. Take a moment before or after class to enjoy a rotating selection of artwork, and a retail boutique with activewear pieces from Live the Process, Calvin Klein and Nike as well as Benshen natural beauty products. Ready to find your zen? Reserve a class at Sky Ting Yoga today.